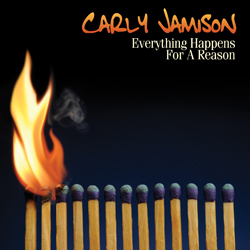 Like Justin Bieber, New York singer-songwriter Carly Jamison posted videos and was discovered. (Her excellent website has all the details). Jamison’s story is on a much more modest scale than Bieber’s, but illustrates better how absolutely critical it is for new bands to get the technical side right. The playlist above is two versions of Bring It On, the one she posted as A Girl And A Guitar and the one on last year’s debut album, Everything Happens For A Reason. Producer Tres Sasser and mixer Vance Powell deserved their Grammy nominations for this and Richard Dodd, a past two-time Grammy winner, mastered the mastering.